Dips are great for entertaining guests because they are usually easy and can be made ahead. Dessert dips are even better! 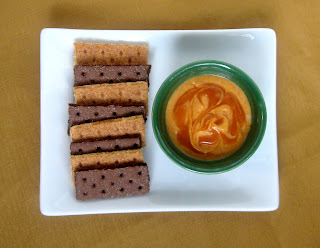 This is a super simple dip that people will love and will ask for the recipe. 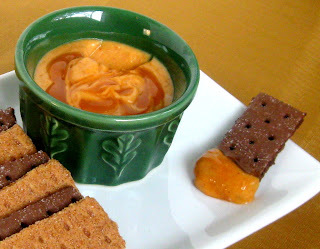 It's also made with lowfat ingredients and everyone knows pumpkin is healthy :). I'm sure that you can come up with even more ideas of dippers to serve it with than I can! 1. Using a mixer on low speed blend together the cream cheese and powdered sugar. Mix for about 30 seconds or until it starts to blend together, then increase the speed to medium and let it mix for about 1 minute until the mixture starts to become fluffy. Scrape the bowl. 2. Add the pumpkin, sour cream, and spices. Mix on low speed for 20-30 seconds then on medium speed until completely blended and smooth. Scrape the bowl to make sure everything is mixed in and smooth. 3. 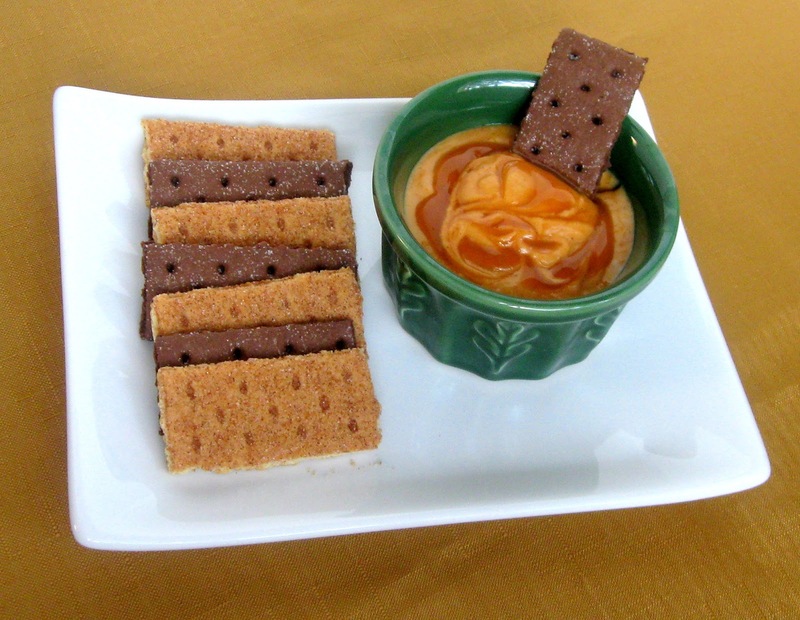 Transfer the dip to a bowl and pour caramel over the top in a design, if desired. Using a toothpick, swirl the caramel. Chill until ready to serve. OOOH - this sounds super delicious. Like the addition of caramel. Thanks for sharing on Busy Monday.